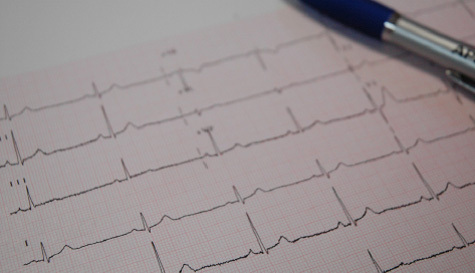 This investigation involves recording your heart rhythm over a selected period of time e.g. 5-7 days. It is carried out as an outpatient procedure so you take the monitor home attached to you. This investigation is normally requested if you are having symptoms of intermittent palpitations or unexplained collapse. The heart produces tiny electrical impulses which cause the heart muscle to contract, these impulses can be detected and recorded by an ECG. This test may be recommended to help diagnose symptoms such as infrequent palpitations. How is it done? Can I continue with normal activities whilst wearing the ECG recorder? What will this test show? Electrodes (sticky pads) are placed on your chest and attached by wires to a small recorder which you wear on a belt around your waist. The monitor is fitted with a memory card which will store your heartbeat whilst you are connected. You must avoid applying any body moisturiser/lotion on the day of the test as the pads will not connect to your skin and may give an inaccurate reading. If you have any symptoms you will be asked to press a button on the monitor which will inform the Technician analysing your result that you were aware of any symptoms at that time. Once your memory card is full or your allocated time is completed then you will be asked to return the unit to the Heart Test clinic. We will then analyse the data and forward the result to your GP who will discuss this result at your next appointment. You will be asked to keep to your normal routine and do any activity that would normally bring on your symptoms. During the time you have your monitor you will be shown how to disconnect the leads to enable you to wash and shower. You cannot bathe with the unit connected. What will this test show? The recording unit will only record the electrical signals from your heart. It will show your GP any abnormalities in the rhythm that may be causing your symptoms. It can show if your heart races too fast (palpitations) and also if your heart is going too slow (dizziness/collapse). This data will help your GP in making a diagnosis. Sometimes further investigations are recommended as a result of the findings.